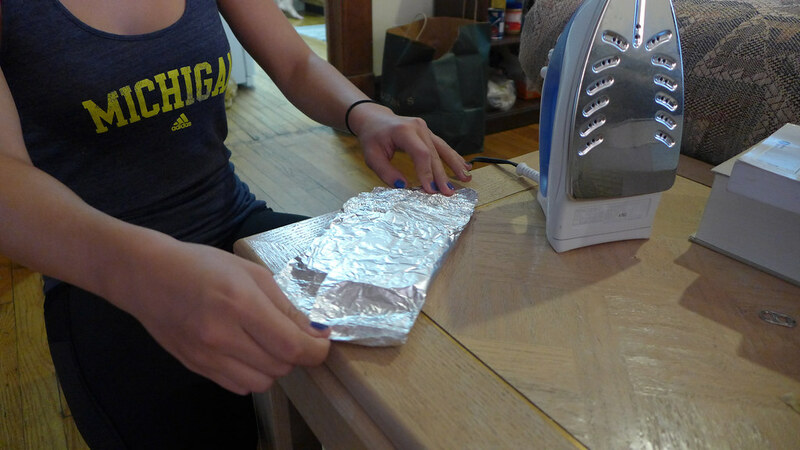 When I first found out about this brilliant way to make a grilled cheese sandwich using a clothing iron, I was weirded out but intrigued. Could this possibly be good? I decided to test it out, adding in some tomatoes and onions. 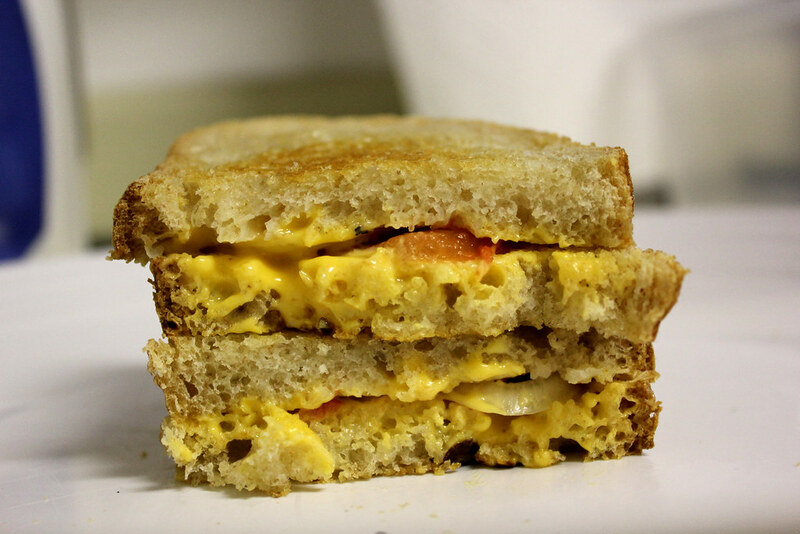 The sandwich actually came out delicious – a perfectly simple solution for anyone living in a dorm room and fiending for this staple comfort food. 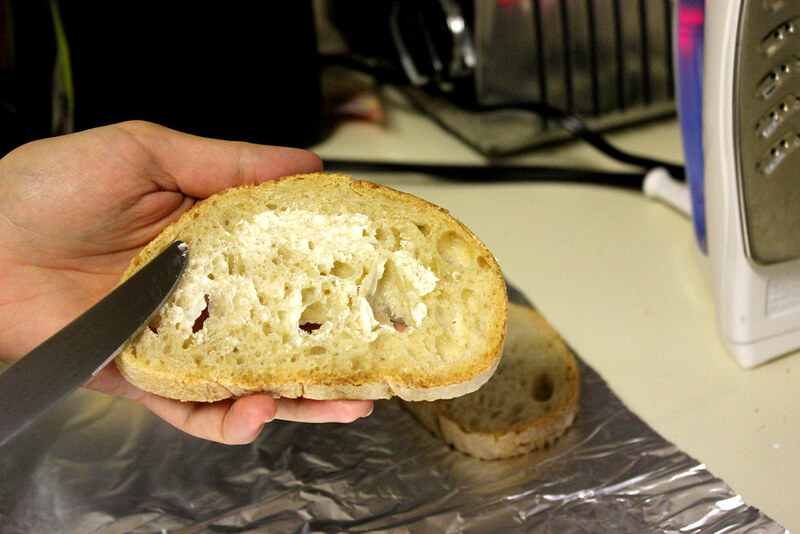 2 slices of bread (make sure to get a bread with a hard crust so the iron doesn’t crush it too much). 1. Turn the iron on and let it heat up (I have mine set to ‘cotton’). 2. 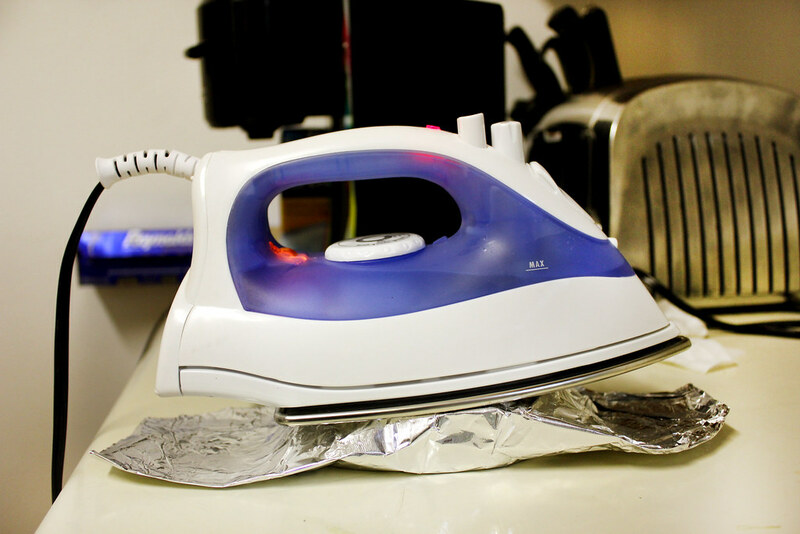 Place a square of aluminum foil on your work area. Make sure it’s large enough to wrap the sandwich once it’s assembled. 3. Butter one side of one slice of bread and place it (butter side down) on the foil. 4. 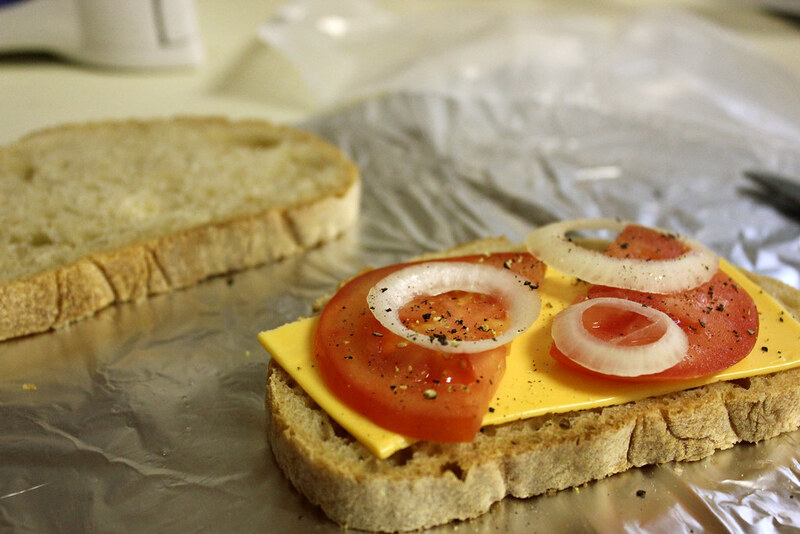 Put the cheese and your optional tomato, onion and pepper on one slice of bread. 5. Butter one side of the other slice of bread and place it on top of the other half of the sandwich, butter side up. 6. 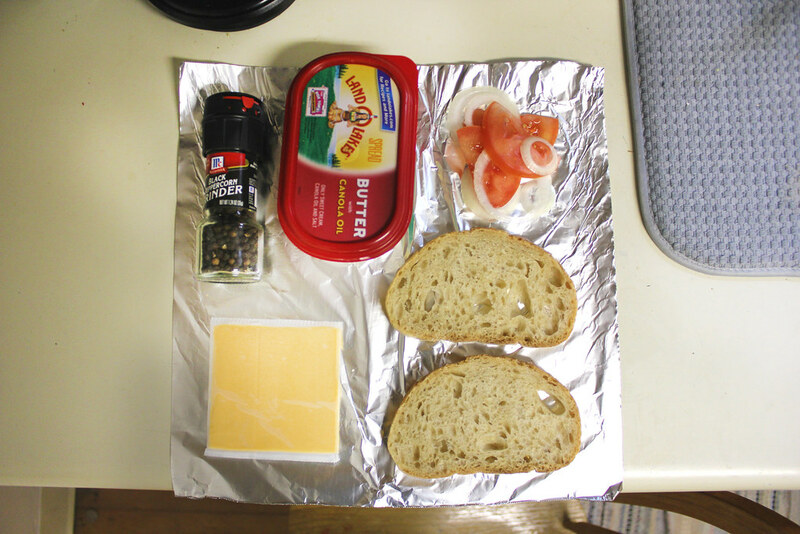 Wrap the sandwich in the foil. 7. 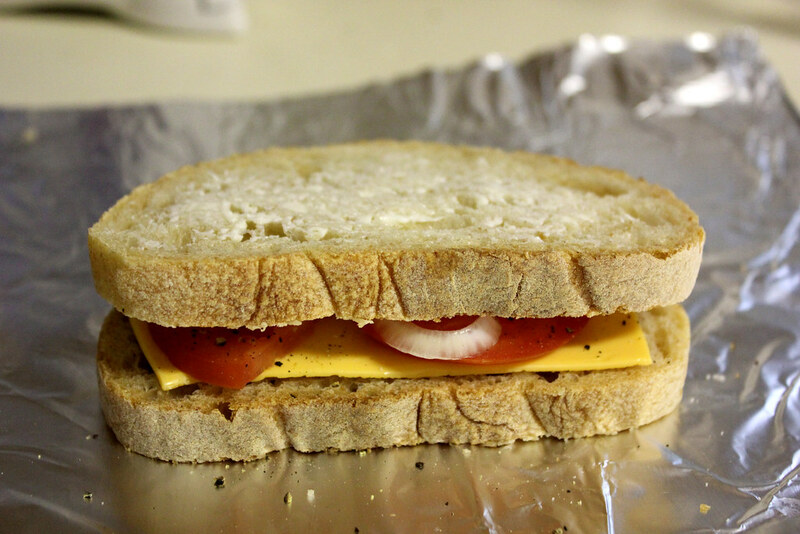 Place the hot iron on top of your sandwich and let it cook for 4 minutes. 8. Flip the sandwich over and repeat step 7. 9. Slice and enjoy (maybe with a can of microwavable tomato soup? Yum).